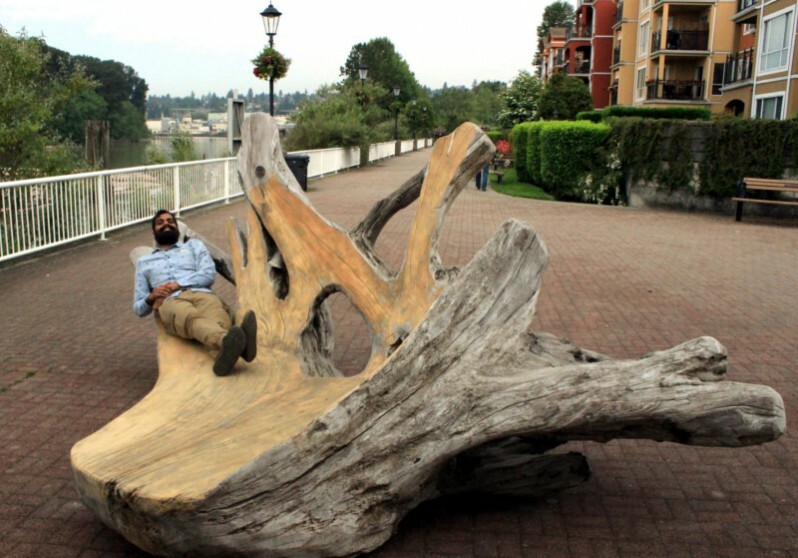 Public Furniture | Urban Trees – New Westminster carried Hugo França’s characteristic theme of transforming discarded wood into sculptures and furniture through sustainable design. 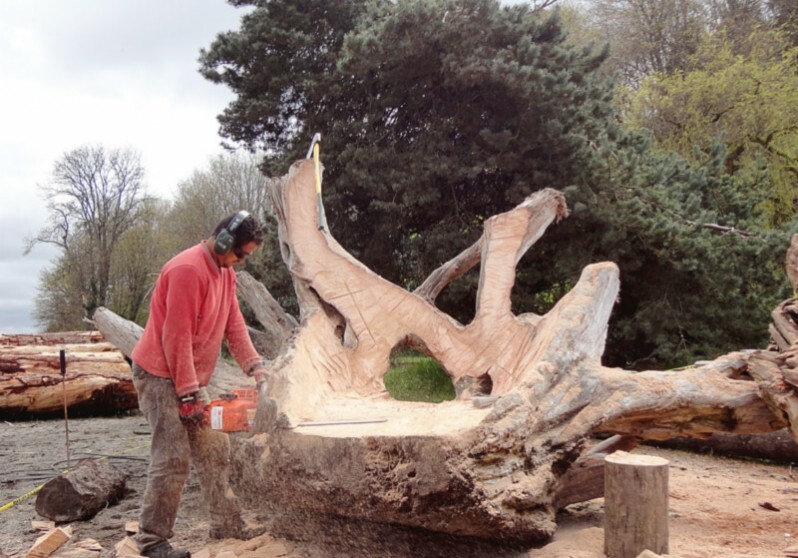 Generally, Hugo França works with the native trees of Brazil, such as the massive Pequi tree. This Vancouver Biennale project marks the first time in his twenty-year artistic career that he has worked with the locally sourced Douglas Fir and Cedar logs of British Columbia. His labour-intensive methods required each artwork to be crafted by hand with a focus on discovering the natural lines, holes, and cracks of the salvaged wood. With the help of his team, Taís Ribeiro, Jailton Marcelino Procopio, and Jhony Augusto Dos Anjos, the story told by the raw material is created with the tender and accurate use of chainsaws, a tool often associated with deforestation and now used to give the wood a new life. Hugo França was born in Brazil in 1954 and studied industrial engineering. In 1982, he quit his job at a São Paulo computer company to live and work in the forests of Northeast Bahia for 15 years. In the small fishing village of Trancoso, a town lacking electricity and piped water, he learned generations-old woodworking techniques of the indigenous tribe of the Pataxó people. 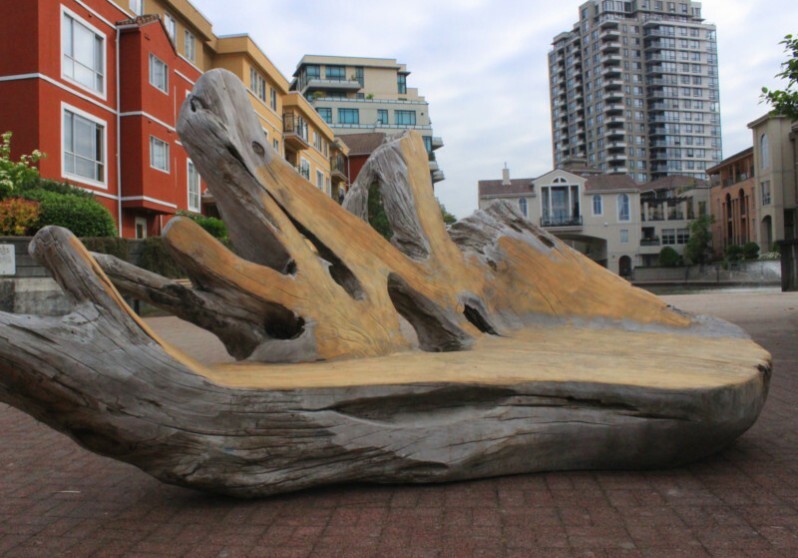 In April 2014, the public was invited to watch Hugo França’s process on Spanish Banks Beach in Vancouver during his one-month stay. 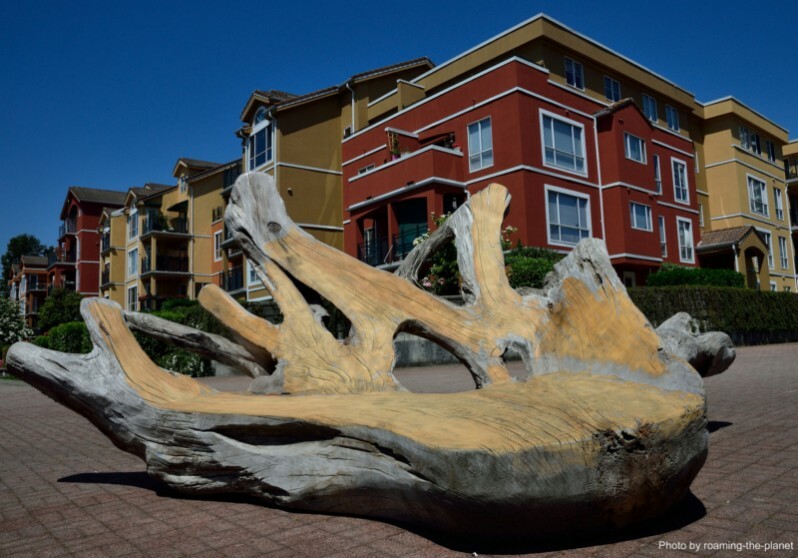 Four of the five art works are currently on display for public engagement at Spanish Banks near the East Concession Stand. 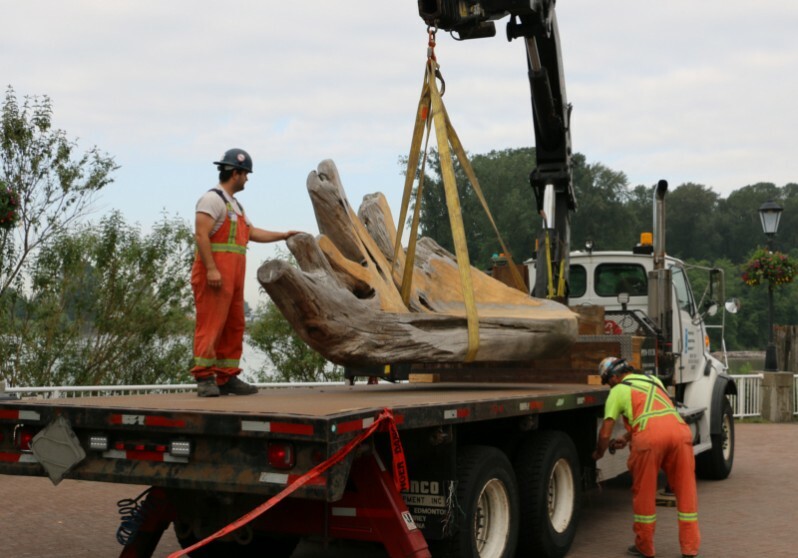 The fifth work was relocated to New Westminster’s Waterfront Esplanade, between Renaissance Square and Reliance Court, in May 2015 and was removed in September 2017.